Diagnosing the causes and then proposing the correct solution is not straightforward and often complex. At HTG we have twenty five years experience exclusively specialising in the repair, renovation, maintenance and improvement of conservatory roofs and during this time we have developed many innovative materials and solutions to benefit our customers. 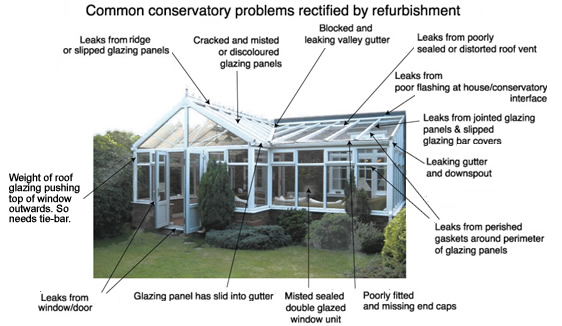 Once a conservatory has been installed it is generally forgotten even though, like all other external elements of the home, it requires regular inspection and maintenance. 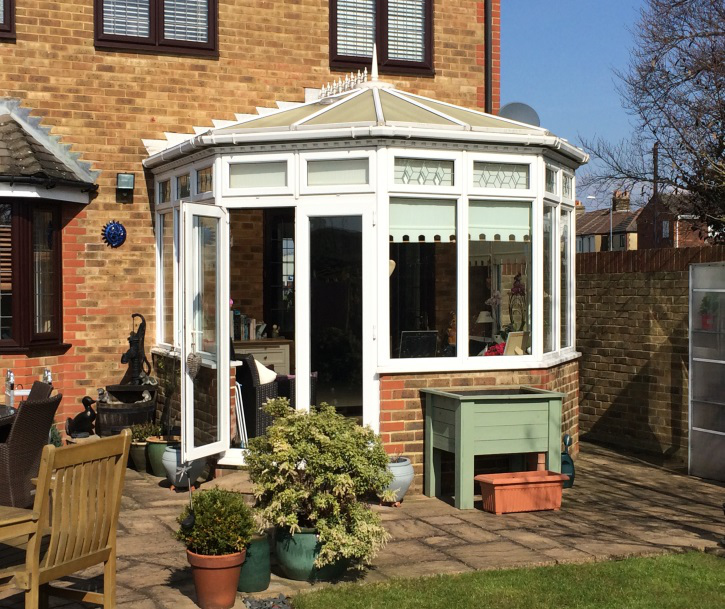 We provide a FREE Conservatory MOT to give you the information you need to keep you conservatory in tip top condition and significantly extend its life. Once your conservatory has been brought back to a good condition we provide a Regular Service Plan covering regular cleaning, inspection, and parts. It is essential that the person inspecting the roof has a comprehensive knowledge of the elements of construction, experience of diagnosing the causes of leaks, and the failure and repair of components. Otherwise effective repairs cannot be correctly diagnosed and undertaken. Our Technical Surveyor is not a salesman but and experienced installer and specifier, who will inspect your conservatory to diagnose the cause of leaks, and discuss and specify repair works. We undertake work to both Polycarbonate and Glass Conservatory roofs. Before you make a commitment we, at your request, make a no-obligation visit. The person who will visit is a Technical Surveyor/Installer and is a member of our fitting team who has comprehensive knowledge of both our products and all the technical elements of Conservatory construction. 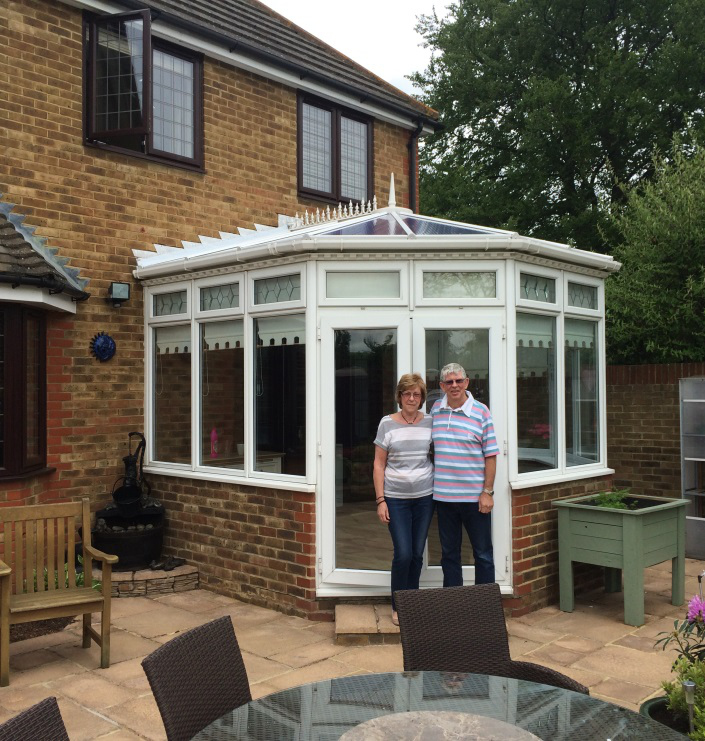 The purpose of their visit is to examine your conservatory and discuss your requirements. Following their visit you will receive a detailed written report identifying: the condition of your conservatory, recommendations, options, prices. At the end of the report is a form which you can complete if you wish to order. Our Technical Surveyors are not Salesmen but experienced installers. Click through for further details of the Free MOT Report.